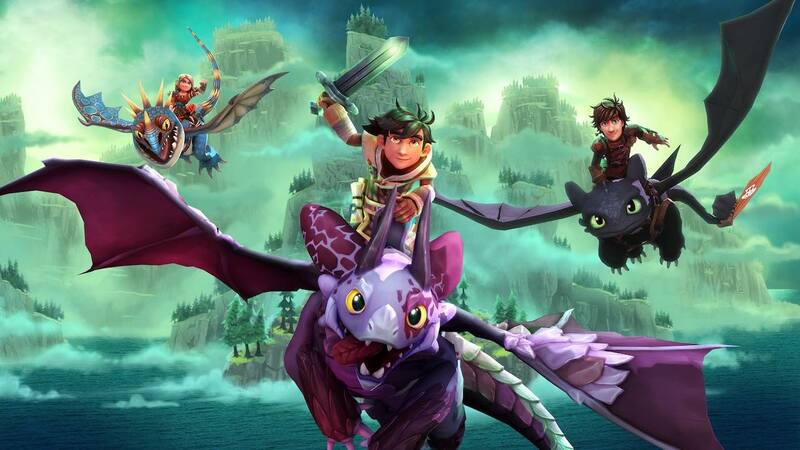 Outright Games, Universal Games and Climax Studios have teamed up to release DreamWorks Dragons Dawn of New Riders on Nintendo Switch. This new story in the DreamWorks Dragons universe will release to coincide with the new movie, DreamWorks Animation’s How To Train Your Dragon: The Hidden World. You will join Scribbler and Patch, the new heroic duo, as they battle to save dragons and defeat the villain Eir who is controlling them to carry out her evil plans. That will see you help Scribbler recover lost memories and forge a friendship with Patch, his unique hybrid dragon. You will unlock powerful abilities on your adventure that will help you take on fearsome foes, and you can fly to both new and familiar locations like Havenholme, Valka’s Mountain and Blood Briar Island. “The first feature film How to Train Your Dragon debuted eight years ago and has since sparked a beloved franchise that has captivated audiences around the world, inspiring additional films, television shows and more,” explains Outright Games CEO Terry Malham. Chris Heatherly, Universal Brand Development executive vice president of games and digital platforms, adds: “DreamWorks Dragons Dawn of New Riders will take players on a new adventure that brings together a poignant tale of friendship, mysterious new characters and mystical locations. DreamWorks Dragons Dawn of New Riders will release for Nintendo Switch worldwide in February 2019.